Do you need a dynamic email marketing campaign to stay in touch with your customers? Blue Fish can handle that. Any good marketing plan should incorporate email marketing. Being able to directly deliver content to a prospect's inbox can have a lot of advantages when done correctly. There are a few reasons you want to deploy an email marketing campaign. Every business owner should have an email list of people that have purchased from them in the past. Who better to market to than people with whom you have already done business? By building an email list of past customers, you can share updates about your business, share new products or services, and stay top of mind when they are ready to buy again. Having an open line of communication should be one of your top priorities. Plus, there is plenty of evidence that getting someone to purchase from you again is easier than trying to find new customers (Cost of Acquisition). Marketing to someone and getting them to purchase from you again also raises the Lifetime Value of your list. So you have made a connection, collected an email, now what? Provide value! By compartmentalizing your list into specific segments, you can offer your potential customers something of value. Email is a great way to do this. 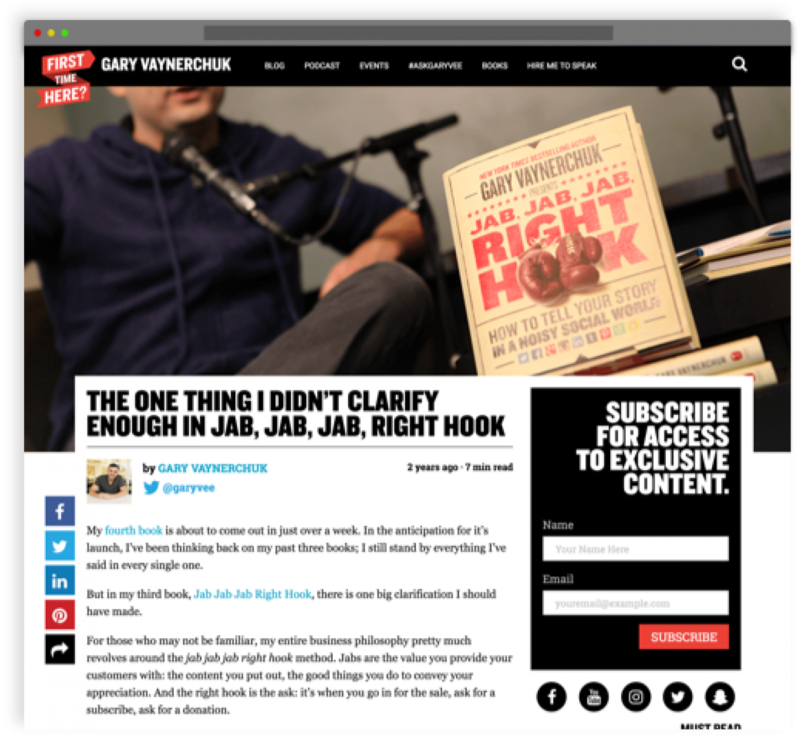 As Gary Vee would say in "Jab, Jab, Jab, Right Hook," offer value to your audience/customers (Jab) over and over again so that when the time comes to go for the ask (the right hook), trust will have already been established allowing your conversion rate to increase. Not to mention, giving value is the best way to establish yourself and your brand as an authority in your field of expertise. Technically speaking, there are plenty of ways to segment lists. 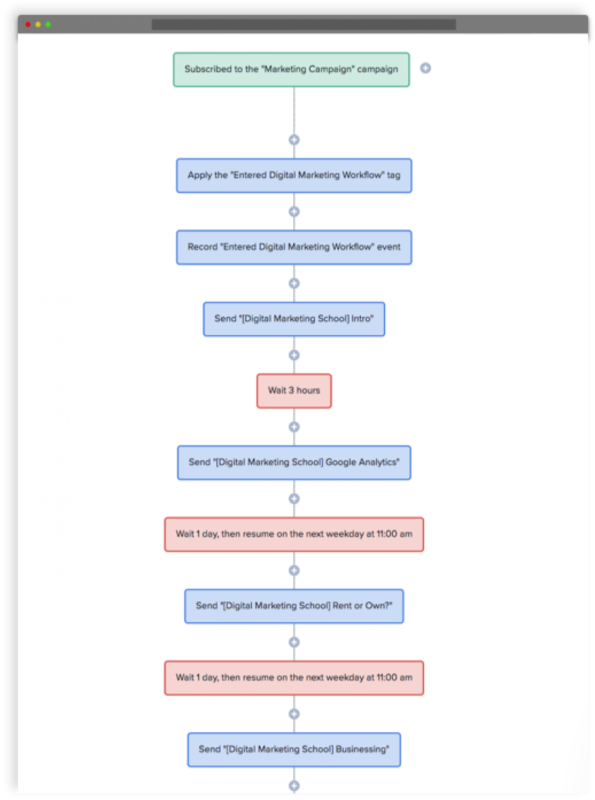 If you sign up for the Digital Marketing Course in the red box below, then you are segmented and tagged, and sent down a funnel. There are different ways to communicate with email. The simplest is a Monthly Email Newsletter. It is the format with which everyone has at least a little bit of experience. You sign up, you get a monthly email with coupons or news or information about services. This is going to offer the lowest conversion rate. But, it is almost a necessity for a business to have a monthly newsletter. It does not take that long to put one together, and companies like MailChimp make it super simple to make sure your audience is getting emails that are legible. Drip email marketing can be a powerful tool. If a user signs up, they receive a prescribed series of emails over a prescribed course of time. The difference between that and marketing automation sequences are that in marketing automation, you can see their path through the emails based on actions that they take. Send an email with a link in it? Did they click on it? If so, then send them the next email. If not, then send them a different email. That is where you start to see real power. This is the wave of the future for email marketing because it allows you to personalize the campaign to the interests of the end user. 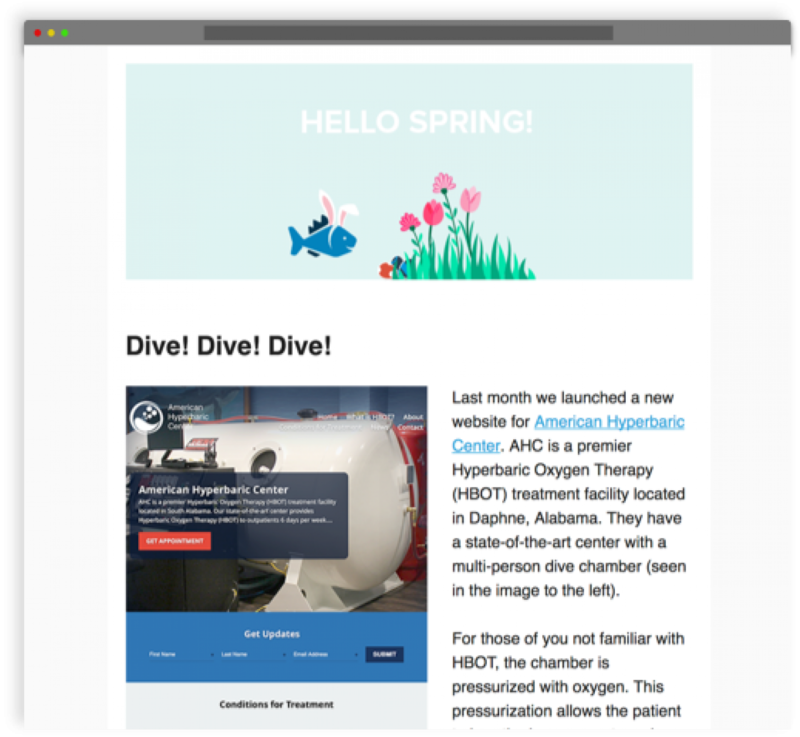 Blue Fish uses amazing systems like MailChimp, AutoPilot, and Drip for email automation. Drip being our favorite as it is the most powerful. Looking to put together a drip email campaign or a marketing automation sequence? Our Digital Team can formulate a great email strategy for your business. Each email you send should have a purpose. Never send just to send. Nobody likes junk mail right? 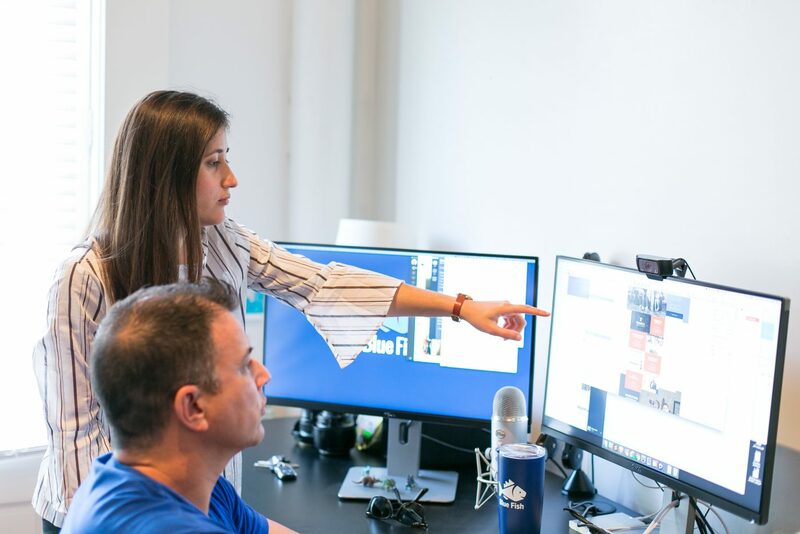 Blue Fish worked with us to resolve some performance issues and legacy browser support on our website. During the process they also made some design updates that increased the usability of the site for visitors using mobile devices, as well as making site administration more efficient. We are so happy to be working with Blue Fish for our web work at Cherry Creek Mortgage. They're also so responsive, helpful, and happy to answer our questions. Their work is fantastic and they make everything so simple. Thank you for your fabulous work!